Reflections for Corporal Joseph Raymond Pokorny, Jr. Always thought his name stuck out for some reason. After spending the holidays with my family in N Va, I was rushing back for my shift at Priority One EMS in Braddock when he pulled me over just before Donegal. He wasn’t just professional and understanding, but also authentic and genuine, was that way for the right reasons. We lost a great man and LE officer three years ago. 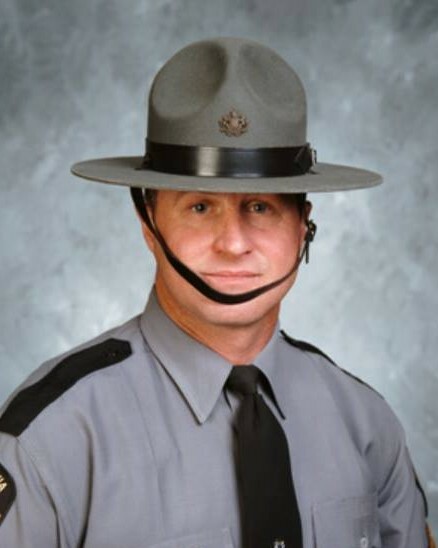 Rest In Peace, Corporal Pokorny and thank you for your service. Poke, as the years go by, I still think of you often. RIP Brother! Remembering you today on anniversary of your EOW. Great Police work is under attack; and Leadership has bowed down to Political Correctness; with sound bites like "Answer your calls. But I know better and we are not Fireman. You and men like you are a dying breed. We now face intense scrutiny, ridicule and personal attacks; just for working. You are in a better place. I'm just reminding all those who look here seeking answers that you were a great Cop, an outstanding Leader and most importantly a Man who stood for something. That can never be wrong. Went to dinner at Cracker Barrel last night and was thinking about having breakfast with you at Cracker Barrel the weekend we first met you, I'd never heard anybody order eggs over medium before. I think of you often and I know you are still watching out for us. Joe, was down in Pittsburgh the other day, thought of you and George T, and how good you guys treated us when I started working undercover . I heard that your son is now on the job, I pray he will be safe. I never had the opportunity to meet you but I have heard stories that make me feel as if I did know you. I graduated the academy on 12/09/05. I will never forget the early morning of 12/12/05. My first station was not Pittsburgh but I am now stationed there. There's not a shift that goes by that I don't look at your picture at the barracks and remember your sacrifice. RIP Poke. Yesterday on the anniversary it was "Wiz Khalifi Day" in Pittsburgh. It should have been "Cpl Joseph POKORNY Day". * I remember you. I remember your work ethic and your backbone. I know you are standing tall in a better place. Seven years, it seems just like yesterday. Rest in Peace Brother. I responded that night t the scene. I will never forget you or that night. Thinking of you and your family today on this sixth anniversary day. Time never diminishes respect and you are honored and revered today. A stranger to me yet a brother as well, rest easy my friend. Thought of you and your family today. Prayers to all. RIP. We miss you. RIP till we see you again. I still remember getting the phone call about you being taken from us like it was yesterday. I remember working on your case and giving it everything I had, but being heartbroken the entire time. I remember driving theough the streets on the way to the cemetary and seeing the people line the streets to say goodbye to a true hero. And I remember standing in that cemetery where we laid you to rest. I'm sorry you were taken too soon. Rest in peace.